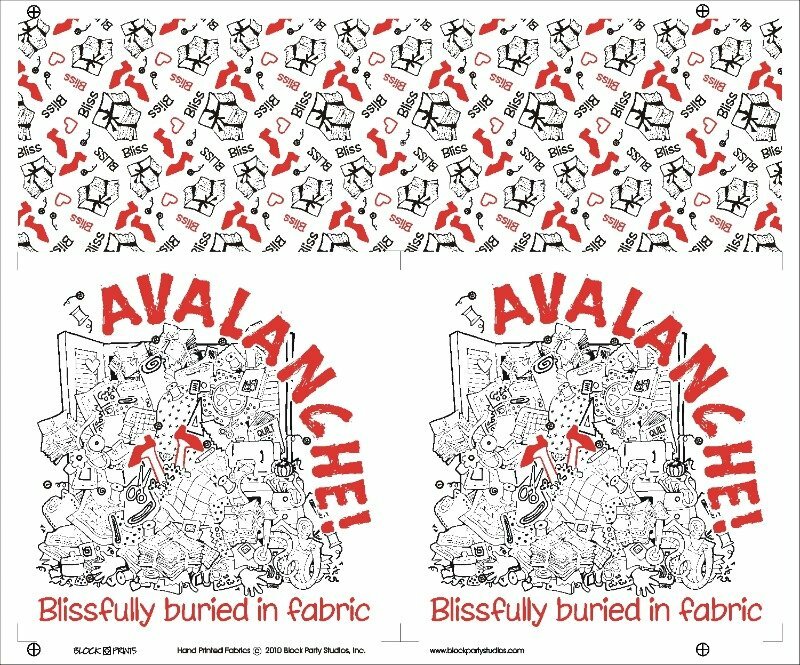 What could be better than being “Blissfully buried in fabric”! Has two large squares plus coordinating scatter print. Printed in black and red on white fabric. Free downloadable pattern for a Sewing Machine Cozy here. Sewing Machine Cozy Kit with panel also available.